40-42 treats per bag, each treat has 3mg of hemp. Start dosage based on the weight of the dog and start with 0.1mg per kg weight. Give the dose twice a day, for 3 days and monitor for relief. If more is needed, raise dosage by 1/4 dropper every 3 days until the desired relief is seen. Do not rise above the limit of 1mg per kg weight. If desired results are not seen, stay with this level. There may be an issue the pet parent isn’t even aware of so the results may not be noticeable at first. As that issue is repaired it will move onto to the next issue. We have yet to find a customer that hasn’t seen an improvement, eventually, and all it takes is a little patience. Some see a difference with one treat, or one dose of oral drops, some may take longer. Pups who have epilepsy will stop having seizures after one dosage, those who are anxious and nervous will calm down after a week and some senior pups who no longer can walk without pain will get up and play after a few days. It all depends on the pup and the issues. You should notice the pet getting up easier and feeling younger as the medicine works its magic. The biggest complaint (which isn’t a complaint at all) for the older dogs is: you gave me back a 6yr old! After 1 month, slowly lower the number of treats or drops by 1/4 at a time. Monitor for any reoccurring pain and discomfort. When you see the pain returning, take the pet back to the previous level. Once you find the “sweet spot” you can keep your pet at this level as long as you want. 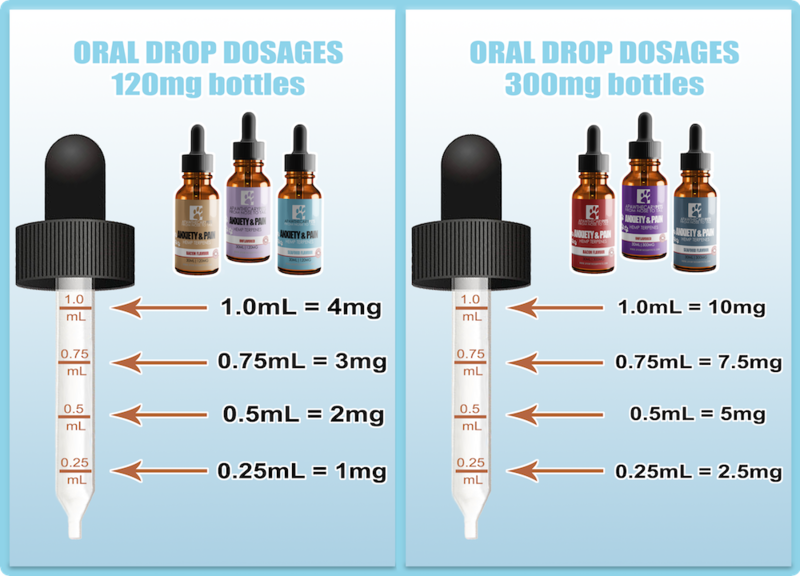 Many opt to use both treats and oral drops. Start with a higher dosage of the oral drops and lower the treat intake. This is hard to do as the pups love the treats, and giving more won’t hurt, but will cost you money you don’t necessarily need to spend. After the fur baby seems fine, you can stick with just the treats, or give a small amount of both. You’ll figure out that happy medium. The oral drops is fractionated coconut oil and hemp seed oil, with added organic all natural non-allergen flavouring so it will last a very long time. The treats should be stored in a dark cool place.